Denna produkt ger dig 1267 bonuspoäng. 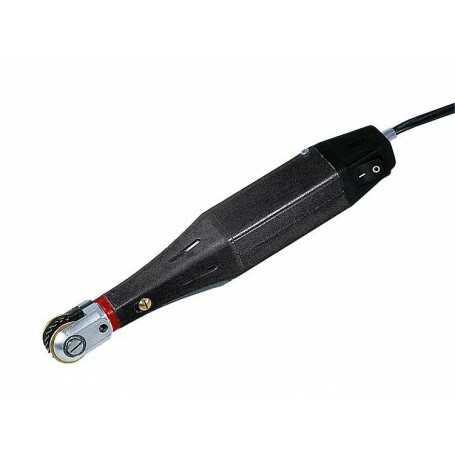 Fräsmaskin, för att göra vägbana för Faller Car System, för att göra spår för kontaktblecket i vägbanan, 12 V DC. The ideal tool for the individual street layout. The machine is equipped with a slotting cutter. The adjustment slider on both sides of the cutter guarantees the best possible result. In this way, it is possible to cut the exact depth the contact wire requires into the roadway. It doesn't get better and more precise than this. The groove cutter can be run straight off our transformer (180641)!